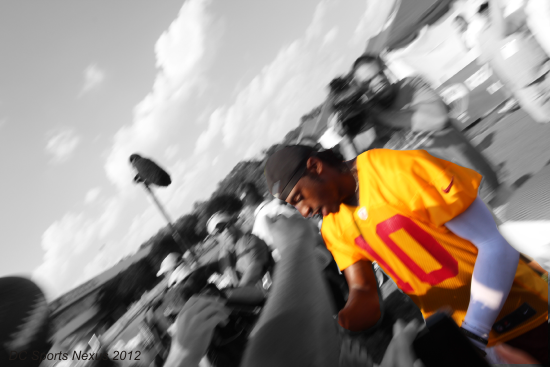 With training camp underway for the Washington Redskins, all eyes are on the man wearing the number ten Jersey, first round draft pick Robert Griffin III. For years the Redskins have been searching for a player to be cemented into the Quarterback position. They've gone the free agency route, trades, even drafting several Quarterbacks over the years. Fail. Fail. Fail. After the debacle of Rex vs Becks last season the Redskins were ecstatic to scoot up to #2 to get the QB situation fixed. RGIII was their man, and RGIII is the plan. The marriage between RGIII and the Redskins is currently in the honeymoon phase, so what is going to happen when they get back from Cabo? From live tweets of RGIII handoffs, to SportsCenter hype, to commercials on TV, RGIII mania is out of control. And wasn't he the #2 pick? So who was first? Oh yeah. That was Andrew Luck. What is up with him? If it's possible, Luck is probably the least talked about #1 draft pick in history. Why? Griffin's skill set is similar to that of Carolina Panthers QB Cam Newton, at least that is what the media has decided. Newton's rookie season consisted of the Carolina Panther setting records, breaking records, and making NFL defenses look silly. 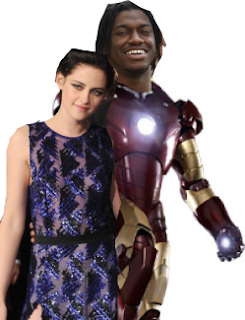 Now RGIII has to do the same thing. Griffin has maintained that he ignores most of the pressure, and that's the best thing he can do right now. Fans are expecting wins, epic QB battles with top 5 QBs, Super Bowls, and a new dynasty. Griffin knows that, and he knows what to do; chill. Right now RGIII's mission is to get acclimated with the offense, get in sync with his receivers, and work behind the Redskins offensive line. He's in the right place at the right time, and has the right skills and the right mind. It ain't the glory days yet, but they look like they could be on the way.